We brought you sauces and rubs. We brought you meal kits and snacks. But what about the Believers who have it all? What’s on their list to Santa this year? Fear not, Red has the answer. 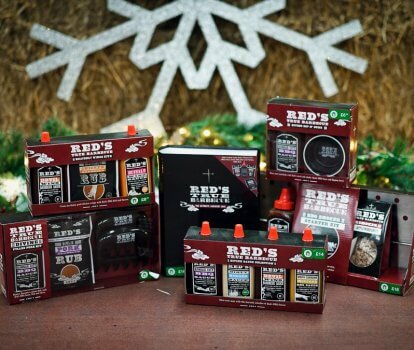 Introducing our new Christmas retail range, available in Debenhams and Boots! Perfect for the meat lovers in your life. For a full product list and where you can purchase them, see below. 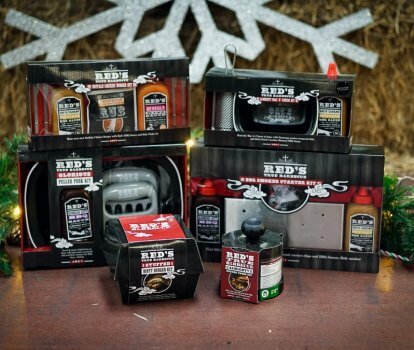 All products are also available to buy at all Red’s True Barbecue restaurants (subject to availability).